This quote was presented to me without context as a standalone statement. First I will address it as is. Then I will address it in context to the entire quote. As a direct answer to this ludicrous assertion I will simply reference the mind of God revealed in His Word. “ 18For the word of the cross is foolishness to those who are perishing, but to us who are being saved it is the power of God. To the person who is a friend of the world, the gospel is foolish, and they are enemies of God. Only the people being saved will appreciate the gospel. Everyone else will hate it to varying degrees. Some will seem indifferent to it, while others hate for it will be evident. If two people are looking at Christ and His gospel, and one has a new nature that desires the things of God and hates sin, and the other person is not regenerate, they are still in the world, and their fleshly passions still rule them, the first one will see Christ and His gospel as exceedingly good news to be desired above all things. He will be like the man who sells all he owns to purchase the field with the precious pearl in it. The other man will think the first is a fool, and mock him. He will spend his life a slave to his own pleasures. Words have meanings, and the imprecise language of Rob Bell and his ilk causes much misunderstanding and confusion. If he desires to be understood properly he should be more precise. First, this statement implies that the Jesus of this statement doesn’t care about being doctrinally accurate. It also implies that to be concerned with doctrinal accuracy is to be equated with un-Christ-like attitudes. We know from reading the progressive revelation of scripture, which is the mind of the incarnate and eternal Word, who being God Himself, in the second person of the Trinity, revealed His will for us, and to us, in the scriptures, has explained true doctrines and refuted false ones, as well as condemned those who taught false doctrines as teachers of the devil’s doctrines. He called them, children of their father the devil. “4I say this so that no one will delude you with persuasive argument. 5For even though I am absent in body, nevertheless I am with you in spirit, rejoicing to see your good discipline and the stability of your faith in Christ. Let’s be careful not to conflate patriotism with our faith. While we understand the political ideals behind sayings like, “America first!” We must understand and realize that we are not primarily Americans. We are Christians first. We are citizens of God’s kingdom first. It is a fine thing to want to strengthen our country’s moral fabric, economy, defenses, industry, agriculture, and infrastructure, but Let’s not lose sight of whose kingdom we truly should be serving. God’s word says, “…“But seek first His kingdom and His righteousness, and all these things will be added to you.…” Matthew 6:33 NASB Don’t be worried or anxious about America’s position in the world, or its greatness. Our needs are not provided for by being American. They are provided by God. Worrying about our status as Americans, at the expense of the truths of the Christian faith, is a serious detriment to both. So go ahead and be patriotic, and remember to preach the gospel to everyone you can. Live to seek God. Seek what He has said is good, righteous, and just. 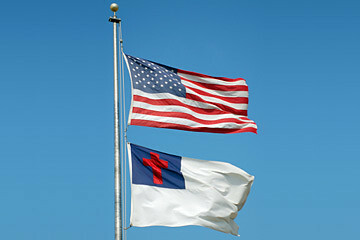 After all, A Christian America, is a great America! 25“For this reason I say to you, do not be worried about your life, as to what you will eat or what you will drink; nor for your body, as to what you will put on. Is not life more than food, and the body more than clothing? 26“Look at the birds of the air, that they do not sow, nor reap nor gather into barns, and yet your heavenly Father feeds them. Are you not worth much more than they? 27“And who of you by being worried can add a single hour to his life? 28“And why are you worried about clothing? Observe how the lilies of the field grow; they do not toil nor do they spin,29yet I say to you that not even Solomon in all his glory clothed himself like one of these. 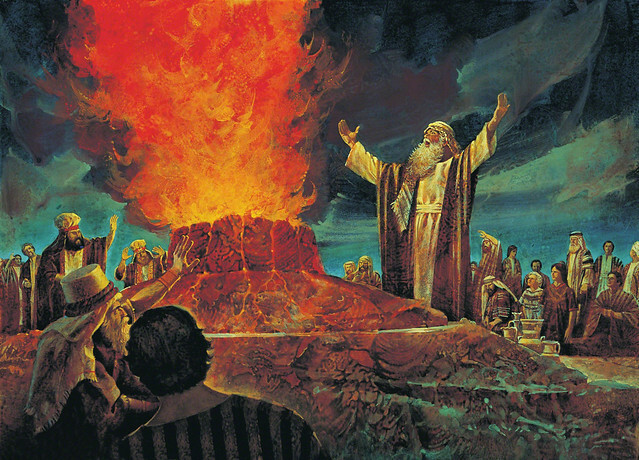 30“But if God so clothes the grass of the field, which is alive today and tomorrow is thrown into the furnace,will He not much more clothe you? You of little faith! 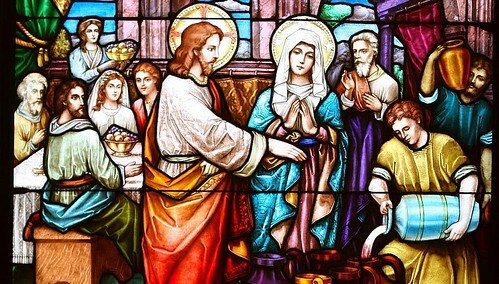 31“Do not worry then, saying, ‘What will we eat?’ or ‘What will we drink?’ or ‘What will we wear for clothing?’ 32“For the Gentiles eagerly seek all these things; for your heavenly Father knows that you need all these things. 33“But seek first His kingdom and His righteousness, and all these things will be added to you.34“So do not worry about tomorrow; for tomorrow will care for itself. Each day has enough trouble of its own. Matthew 6:25-34 NASB provided for context. In context this is about worry and anxiety over the necessary things of life. The verse cited above, is also about that. We shouldn’t be so worried about America as to conflate patriotism with our faith. Seek God’s kingdom first and He will provide for you.